Specification: Brand: PandaHall Elite Material: Genuine Leather Size: about 3mm in diameter, about 5m/bag. Condition: Top quality, long last, durable. Package: 1 Roll cord. 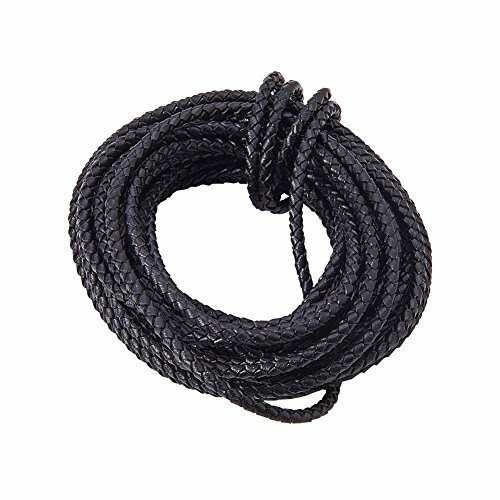 This hard to find round braided leather cord is made from genuine leather. 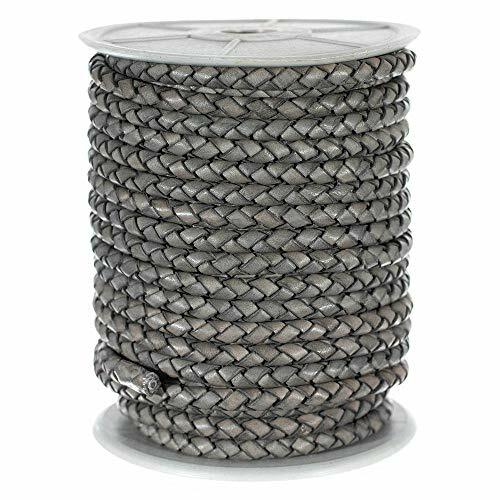 This genuine leather cord is perfect for different craft projects such as jewelry making, crafting, cording, beading, decorating, western bolo tie making, or apparel making. 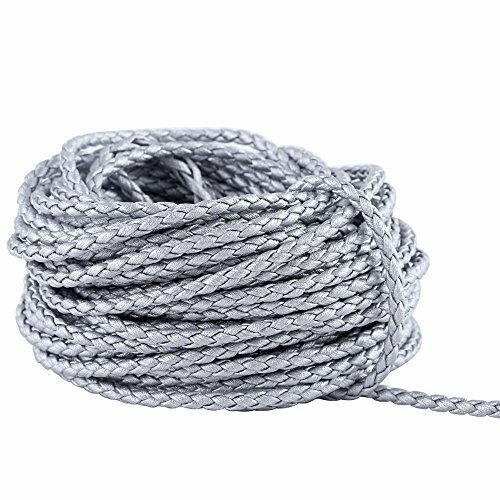 The cord is tough but it was not made for heaving duty binding purpose. Also, genuine leather does have an odor. 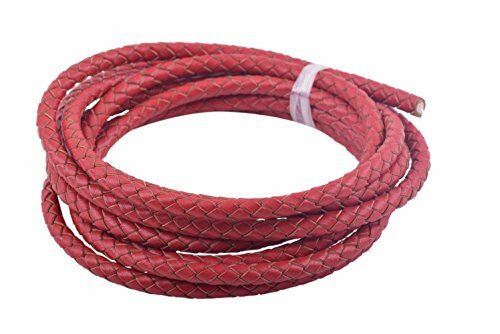 Faux leather cord might be a better replacement if you think the odor is unpleasant or you are looking for cords for heavy duty binding purpose. Note: the picture shown is a representation of the item, you'll receive from the actual size items. Picture may appear larger on your screen. Color may vary slightly due to the color setting of each individual monitor. Please double check the sizes before purchasing. 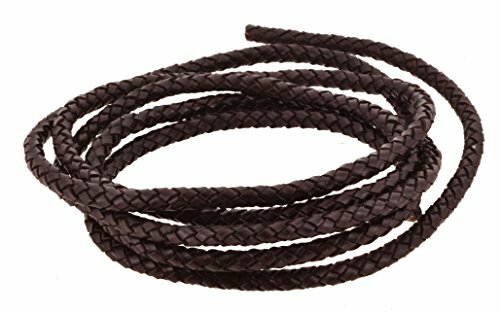 Genuine real leather bolo braided round leather cord, with core inside it, could be used for jewelry making, bolo tie etc. 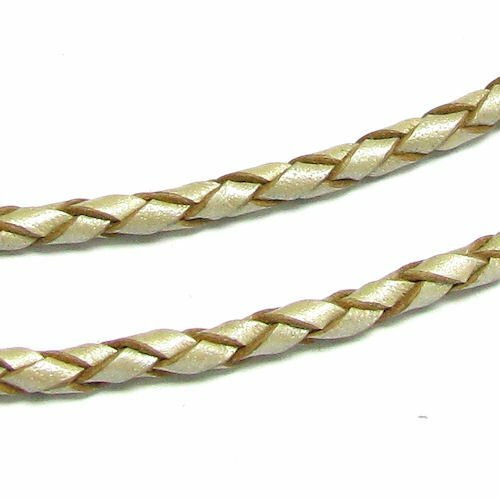 Braided Bolo leather cord is made of genuine leather. The cord is tough but it was not made for heaving duty binding purpose. 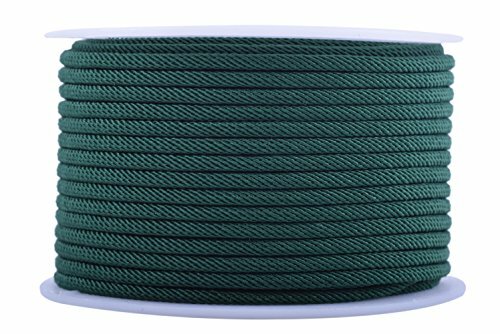 It is perfect for different craft projects such as jewelry making, crafting, cording, beading, decorating, or apparel making and so on.